There are different forms of revision to consider and different revision techniques to look at. The following list covers a selection of revision techniques and approaches that we believe are relevant to most students but in particular those preparing for GCSE and A Level exams. That said, the revision techniques discuss below can be applied to any type of test, from numerical reasoning tests to KS2 SATs papers. Take a look at the revision tips below and see what you find useful, in helping you to know how to revise. 1. Revision Cards – In recent years revision cards have taken off with many students using flash cards for all types of subjects. 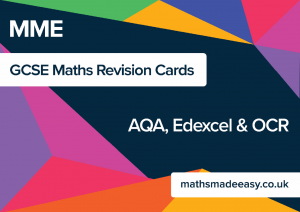 Maths revision cards have possibly been the most popular. However, how do you apply an effective revision technique to revision cards, simply buying them and writing on them isn’t necessarily going to be effective. What you shouldn’t do is simply copy out your course notes in small writing on to these cards. Making condensed notes onto the flash cards is a must, then using the cards to cover up and test yourself. You can then test yourself across all of the cards you have made and split them into 3 piles of the ones you confidently know, the ones you kind of know and the important pile, the ones you need more practise on. This will then help you to narrow down on the bits of the exam that you need to focus on. 2. Spider Diagrams – As a revision technique, spider diagrams can be useful in helping to convey the key points of a topic or section from your revision guide. With all revision techniques you should make sure that you are actively thinking and trying to recall the information rather than simply copying it bit by bit. Once a spider diagram is complete the key is then to see if you can verbally expand on all of the key points and make total sense of the topic from the minimal notes you have made. 3. Practice questions – Whether you are doing past papers or practice questions from a worksheet, the key to getting the most use out of questions is simply to learn from your mistakes. The ones you get wrong are the ones you need to focus on. Our top revision tip is to collate all the questions you get wrong with the mark scheme answers in a revision book specifically for them. Continue to do this over the weeks you are revising and then before you go into your exam, ensure you can answer every single question you have got wrong up to the standard of the mark schemes, paying close attention to the key marking points.